For those with mobility problems, navigating a complicated transport network such as London’s Tube can be incredibly intimidating. 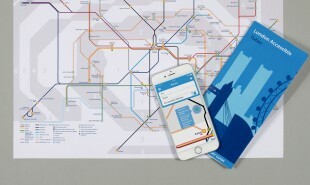 Now, London Accessible is a new app, created by design student Rebecca Grover, which combines information from three separate documents by Transport for London to create a guide to accessibility for wheelchairs, cranes and other walking aid users on the Tube. To begin, users fill out a profile detailing their level of mobility: specifying whether they can use stairs or escalators, and whether they need stations with elevators, accessible train cars or help getting to and from the train. Then they click on their desired station to find out if it fulfils their criteria. 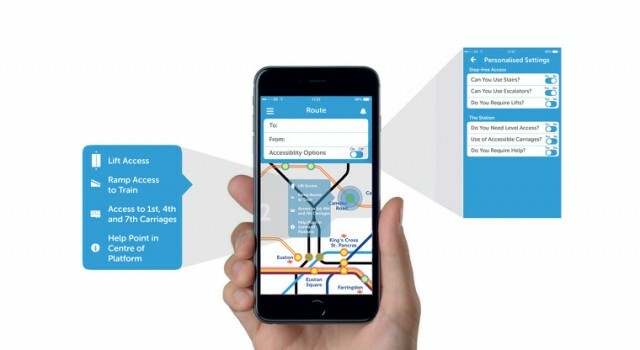 Grover has also created an API plug-in which enables the app to be used in combination with Citymapper so that users can search for their most convenient route. London Accessible was the winning project of the RSA 2015 Mobility City brief. Grover hopes to collaborate with TFL to expand the project to add bus routes and other forms of transport. We recently wrote about AXS Map — a global app which crowdsources venue reviews from its users to make the world more accessible for those with mobility problems. How else could accessibility information be made more readily available?